Here at the practice we were delighted to be one of the first practices in the country to have access to a new and exciting product. The MiSight lens treatment programme is the world’s first one-day contact lens shown to substantially slow the progression of myopia in children. What is MiSight? Myopia (short-sightedness) is becoming increasingly common in the U.K. and higher levels of myopia are on the increase. Myopia greatly increases the chance of problems such as myopic degeneration and retinal detachment over your lifetime. Added to this is the inconvenience and cost of glasses for a higher prescription. More and more children are becoming myopic (short sighted). There has been lots of research on how to slow the progression of myopia so hopefully children don’t end up as myopic when they get older. 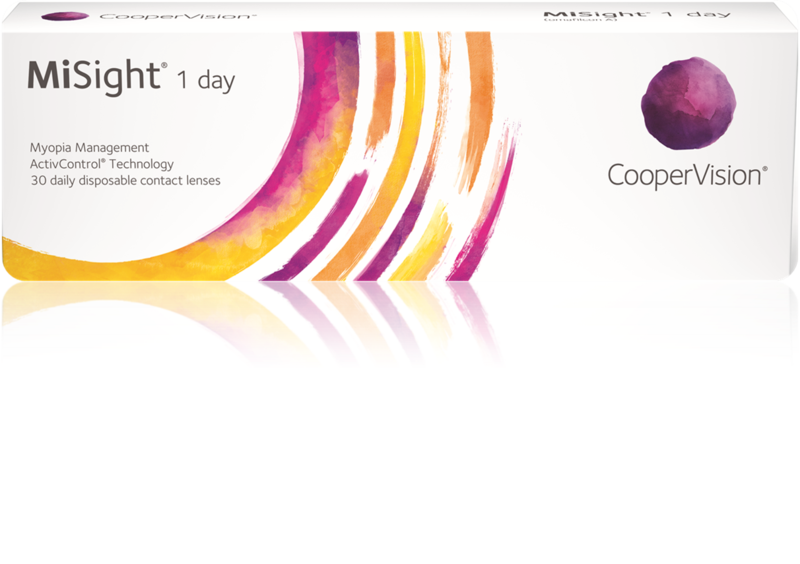 MiSight is the world’s first 1 day disposable contact lens proven to slow down the progression of Myopia in children. The product was launched successfully in 2009 in Hong Kong and has been tested in a trial of 144 children in 4 countries for the past 3 years with very encouraging results- showing across the patients an average 60% reduction so far in myopia progression compared to the control group in a double blind study. Between the children in the study they have an equivalent of 3000 years of wear and there have been no adverse effects reported. The treatment programme involves wearing contact lenses 10 hours a day for 6 days a week and is considered most effective in children 8-12 years of age, although other ages can be considered. If you are interested in these lenses please contact the practice for more information. There are certain prescription criteria your child must meet but our staff will be able to advise you further. If you decide to go ahead your child will have a fitting appointment with one of our Optometrists, then as many tutorials as needed to practice using the lenses. Before taking the lenses home we will make sure you and your child are happy and confident with using and taking care of the lenses. If you would like more details about this product or to see if your child would be suitable please contact the practice for more information.